Dr. Schierling attended Kansas State University; studying in the dual-degree program of Nutrition and Exercise Physiology. A severe powerlifting injury led him to seek chiropractic care after typical forms of medical treatment had failed. 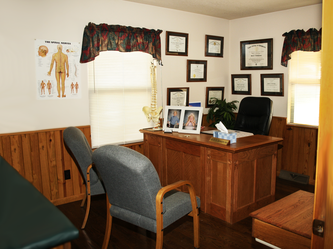 After deciding on a career in chiropractic, he attended Logan Chiropractic College, graduating in 1991. Having fallen in love with the crystal clear CURRENT RIVER in the Ozark Mountains of rural Southern Missouri, he started a practice in Mountain View. Over two decades later, Dr. Schierling is as passionate about healing as ever. In 1996 Dr. Schierling experienced some big changes. He married Amy and moved into a new office in the same week. 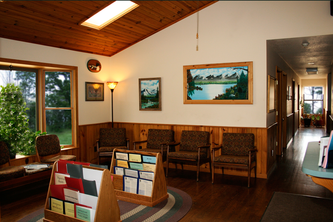 The office feels more like an Ozarks Cabin than a clinic. The native hardwood floors, wall to wall woodwork, gospel bluegrass playing softly in the background, and local artwork, create an atmosphere that is drastically different from the average doctor's office. The Schierlings have four children (3 girls and a boy). We are located on South Highway 17 between the Kingdom Hall and the Christian Church. 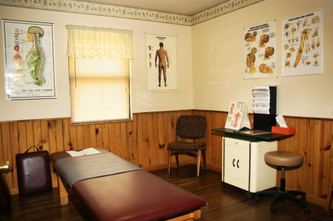 We are centrally located to many of the area's towns, and are easy to get to. 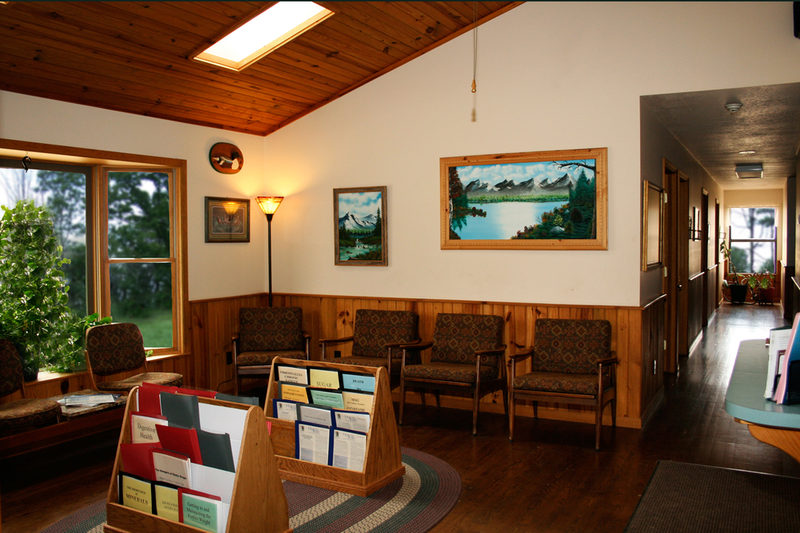 We have a paved parking lot, and the office is handicap accessible. If you are simply wondering whether or not Spinal Decompression Therapy might be something you could benefit, call (417) 934 6337 today to set up a free, no-obligation consultation with Dr. Schierling. Remember, NOT EVERYONE IS A GOOD CANDIDATE for Spinal Decompression Therapy. But don't you owe it to yourself to find out? ADDRESS: 1219 South State Route 17, Mountain View, MO 65548. We are located about a mile or so past the airport (just past Highway WW) between the Kingdom Hall and Christian Church, across from A-1 Storage.